If you are a student and wish to bunk your classes- think twice as it may cost you some marks. 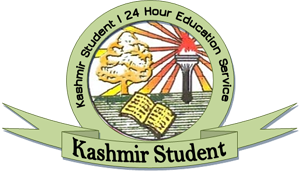 According to the new decision of University of Kashmir, marks shall be reserved for attendance and internal assessment at educational institutions. The decision was taken during the last University Council meeting held on October 20. The meeting was presided over by Chancellor, N N Vohra. “Where ever the weightage is 150 marks (75 marks in paper A and B each) 50 marks shall go to the colleges for attendance and internal assessment while 100 shall remain with Controller Examination. Where marks are 100 (50 for each part of paper) 25 marks shall be reserved for colleges and 75 with Controller Examination,” said Prof Abdul Salam Bhat, Control Examination, University of Kashmir. The single paper system is scheduled to start for all graduate courses from 2013. Paper ‘A’ and ‘B’ of each subject shall be clubbed into a single paper. There will be a change in the pattern of the paper too. Efforts are being made to reduce the syllabus from eight units to five units in each subject. The question paper will include one more question and the timing of examination will also be increased from 2 hours 30 minutes to 3 hours. The single paper system is likely to bring many benefits with it which include short examination days, speedy evaluation of papers and prompt declaration of results which in turn will save the academic time. The cost of examination process shall also go down. “Single paper system will save a lot of time. Keeping in view our climatic conditions, we cannot afford month-long examinations. Single paper will halve the time of examination. Besides, we will be able to declare the results in time too,” Prof Bhat said. About reservation of marks for colleges, he said it will ensure discipline among teachers and students. Most importantly, bunking of classes will also be checked. Internal assessment shall consider performance of students in the class besides class tests. The decision has been hailed by teachers and students who see many benefits in the process. Teachers and students have welcomed the initiative citing its long-term benefits. 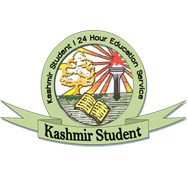 “The single paper system is really a good initiative which will relieve students of examination pressure,” said Akhtar H Malik of Kashmir University’s Botany department. Thanks so much for this great blog; this is the stuff that keeps me going through the day. I've been looking around for your blog after I heard about them from a friend and was pleased when I was able to find it after searching for some time. It is very strange that Internal Assessment is to be incorporated now. All most all major universities have this system of internal assessment already. And why is our university having only 75 marks per subject [B.Com.] and not 100 per subject. And what if a B.COM. student wants to know his marks for a single subject say, Cost Accounting, as two subjects are per module and marks are given collectively per module out of 150.